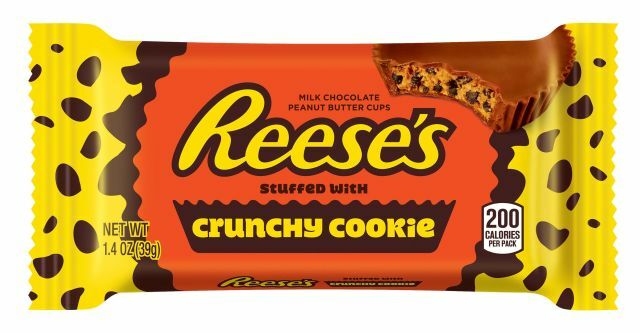 Teased earlier in March, Reese's Crunchy Cookie Cups have officially launched and can now be found on store shelves nationwide. 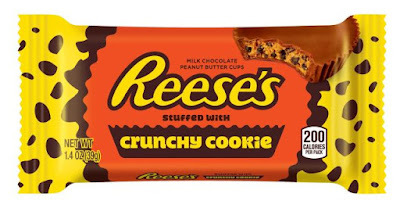 The new candy features your standard Reese's Peanut Butter Cup but filled with bits of crunchy chocolate cookie. You can find them in 1.5-oz packages with two cups for a suggested price of $1.09 and a larger "King" 2.8-oz package with two Big Cups for a suggested price of $1.79.